A few days ago, one of my Instagram photos was shared by a site with a kajillion followers. Well, 80.8K, to be exact. To be fair, I think the “K” actually refers to “thousand” but that’s a moot point anyway. It’s still a lot of people! 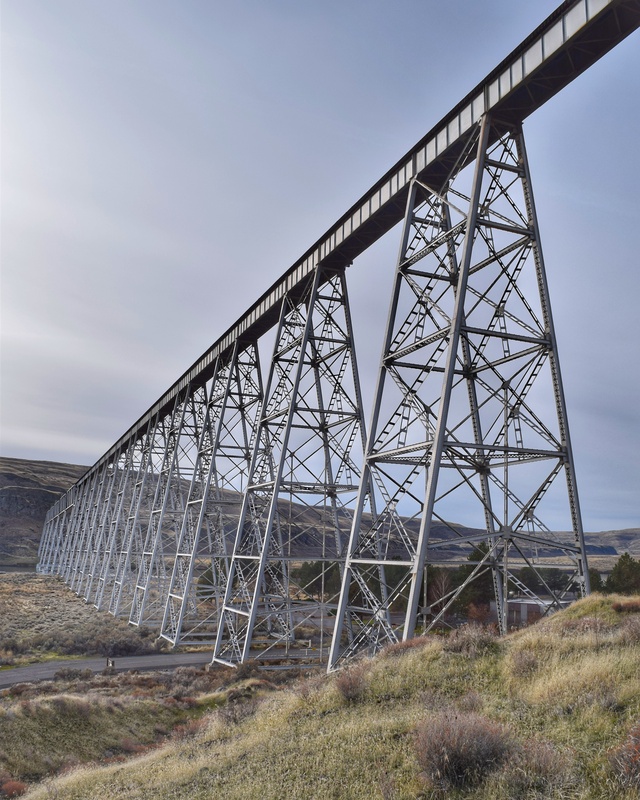 Washingtonexplored reposted a photo of a train trestle I took over Thanksgiving weekend. It was quite an impressive span and resembled a giant erector set of sorts. I got pretty excited when I saw my photo had been shared. It’s something Tara and I have both strived for. Unfortunately, things did not in fact start happening to me following the post. In reality, the Instaglory was fleeting and rather underwhelming. I’d dreamed of getting a big boost from the publicity a shared photo would generate, but while plenty of people were double tapping the photo on washingtonexplored‘s page, few of them were coming over to my account. Case in point: their post has 874 likes while my original has 54. I think I gained a whopping two new followers. Oh, well. My Instafame is on hold for a while longer, I suppose. But the positive affirmation was nice, at least. The railroad trestle, by the way, was in the middle of nowhere. Just outside Lyon’s Ferry State Park, some 10 miles northwest of Starbuck, Washington. Population a whopping 129 people. This was one of the few residences we drove past in that area. As you can see, clearly not a very happening place. I did joke, however, that this fixer-upper could be the solution to Portland’s housing crisis. 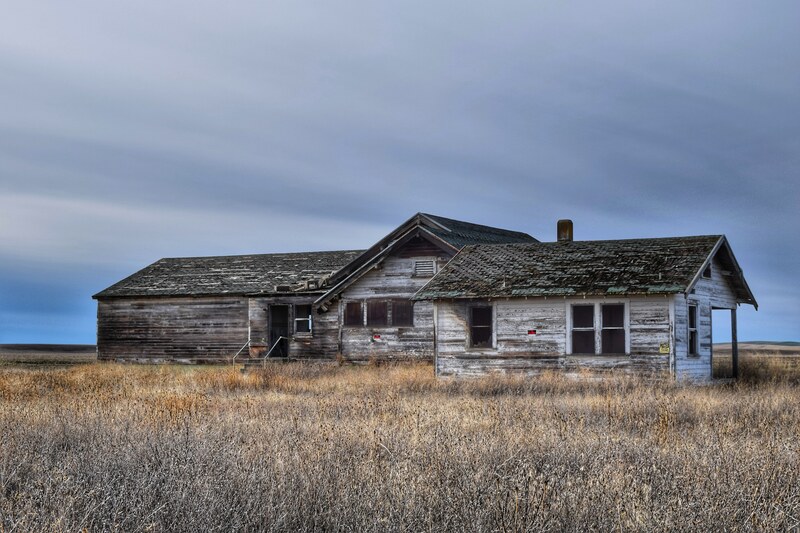 Tara and I wanted very badly to explore this abandoned farmhouse, but the “No Trespassing” signs scared us off. We both find old buildings like this one fascinating. I can’t help but wonder about the history of this place, obviously somebody’s home before it fell into disrepair. It had burned, too. Was that the catalyst for letting it go to ruin, or did the fire occur long after it was empty? I guess that’s one of those “which came first, the chicken or the egg?” questions that will never be answered. I’ve always thought it was the egg. I mean, the chicken couldn’t have just apparated out of thin air, right? Maybe a bird that wasn’t quite a chicken laid the egg, and a chicken was born thanks to a genetic anomaly. Or maybe I’m way overthinking this. Just don’t cry fowl, please! I was really, really hoping a train would pass by while we were photographing the trestle. How cool would that have been? Unfortunately, we had no such luck. But later – after we’d explored Palouse Falls and were getting ready to leave – a train did go by on those same tracks. By then we were some 10 minutes away from the trestle. So close, and yet, so far! HA! OMG Mark, I had a similar thing happen to me on Instagram when a few of my photographs (ones taken in New York City) were shared on other Instagram sites (by New York City-based sites). Not being someone who knows a lot about Instagram because I only post 1-2 times every other week, I didn’t even know what that meant. However, like you, I didn’t notice any real increase on my own feed. Yet, I was grateful that these sites had featured my photographs so I left them comments, to say thank you. I’ve seen both these photos on your Instagram feed and loved them; especially the second one. It’s stunning! Looks like a painting! You should make a picture out of that one and have it framed. I really should get some of my photos framed…maybe when we buy our house. I’d love to decorate it with our own artwork. Those are both cool pics. Sorry you didn’t get quite the bump you were looking for. Would a fist bump help? I too wonder about old houses like that. Looks like it was a nice one in its hey day. They also sort of make me sad to see, though, too. And totally agree about the chicken/egg debate. That’s been my theory too. Sure, I’ll take a fist bump! I wonder if there’s an emoji for that? You are too funny! Did they ask permission? I had Fodors ask if they could use one of my Instagram photos of a B&B we stayed in Yountville, CA and I said NO. Why should they make money off of me? Lol! If you like old buildings, you must check out Seph Lawless on Inatagram. He takes amazing photos of abandoned places. Love him! No, this was the one time I was not asked for permission…but I’d have gladly given it to them anyway because I am an attention whore. Several other times I’ve been asked for permission and have always immediately responded yes, but those photos were never shared. Go figure. Oh, and I’ll check out Seph’s IG page. I do love photos of abandoned places!